Check out the list of the following symptoms to asses if any apply to you. 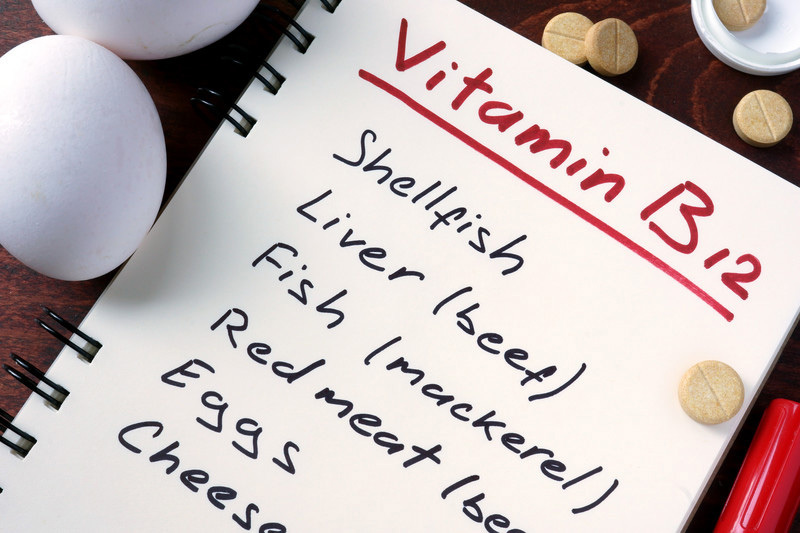 While all of the symptoms are related to many disorders they are also associated with low levels of vitamin B12. In order to accurately discern whether your B12 levels are low or you are suffer from some other issue a simple blood test is in order and your doctor can easily do this for you. Low levels of B12 can be cause by a variety of issues but it is often the inability of our body to absorb the vitamin that is generally the root cause. Those individuals who are susceptible to any gastrointestinal disorders or have had gastrointestinal surgery are at a higher risk, as are older individuals, vegetarians, pregnant and lactating woman as well as those who suffer from pernicious anemia. Pernicious anemia is an autoimmune disease that affects the gastric mucosa resulting in atrophy, which in turn through a series of steps inhibits normal B12 absorption. Tingling in the hands and feet is a hallmark symptom of Pernicious anemia. From a dietary standpoint the best sources of B12 include eggs, cheese, milk and milk products, meat, fish, fortified breakfast cereals, shellfish, poultry and some soy based products. B12 is a water-soluble vitamin so it is hard to overdose on it because what ever is not needed is generally excreted in your urine. Some of the side effects from taking B12 can include headaches, itching, anxiety or nervousness and in severe case uncontrolled movements. I’m often asked if it is better to use the injectable form or take the oral supplements. This is entirely dependent on the state of your gastrointestinal system. In the case of pernicious anemia taking an oral supplement would be of little value because the atrophy of the stomach wall does not allow it to be absorbed therefore an injection is the best option. If you are able to digest and absorb properly then an oral supplement is fine. If you have assessed a need for B12 it’s important that you let your physician know before you begin to take it to ensure there are no issues with any other medication you are taking. As with any medication, vitamin or supplement be certain that you have a need for it before beginning and if you do so taking it regularly will give you the best results.